Magnesium is important mineral for your body. Magnesium is involved in more than 300 metabolic processes in our body. Magnesium is a natural anti-stress mineral that helps the body to relax. It plays an important role in combating anxiety and stress and it is important for the health of blood vessels, blood, bones, heart, muscles and nerves. But, let’s back to our topic. Of course, if you have any of these problems, it does not necessarily mean that your body lacks this mineral, but you should definitely check it out. Magnesium is a partner with calcium – when the body lacks calcium, as a rule, lacks magnesium. 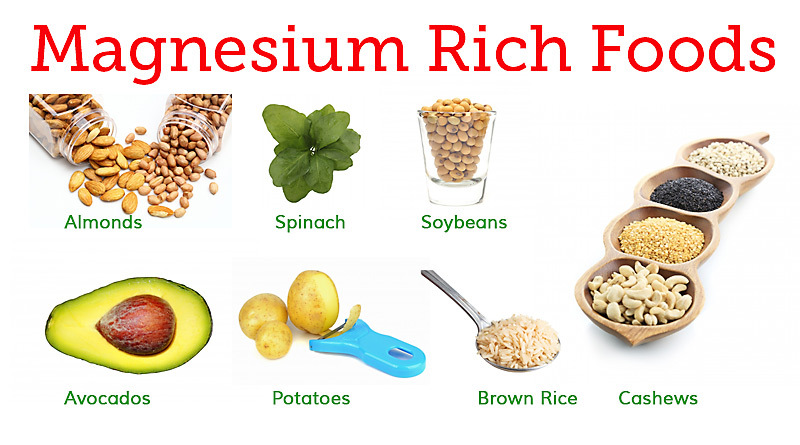 Studies shown that more than 70% from people in USA have magnesium deficiency. Almond, avocado, sesame, sunflower seeds, soybeans, dark green vegetables, apples, lemon, celery, brown rice, potatoes, fish, bananas, dark chocolate, dried fruit (especially figs and apricots).